Reported as being ˮthe only show of its kind in the Worldˮ, Universal 360 combined sophisticated high-definition projection technology, solid state lasers and a rainbow of pyrotechnic displays with our unique StratoSpheres. Using more than 160 clips from Universal's most popular movies, together with an original score performed by a full 60-piece orchestra, an extraordinary event was created. 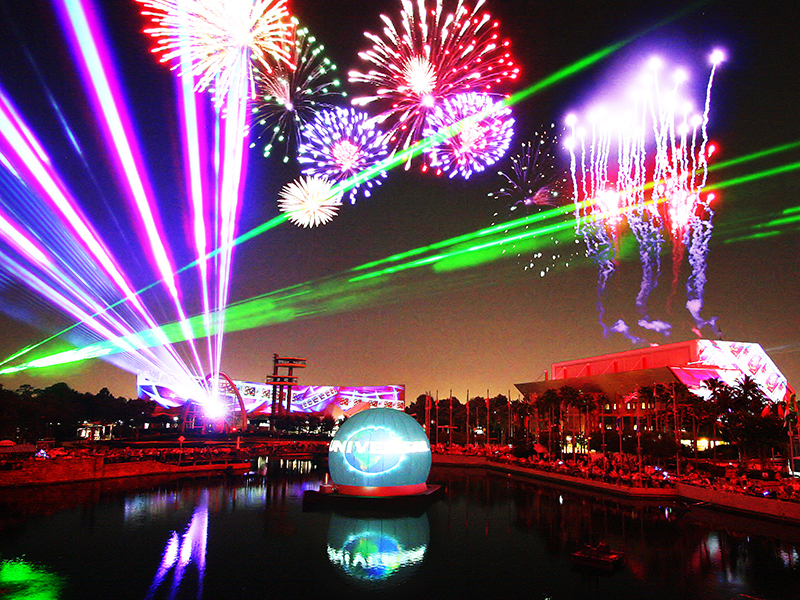 With an aim to create an entirely new way to view and appreciate film, LM Productions specially designed four Stratospheres that would float in the central lagoon at Universal Studios, Florida, creating an incredible 360 degree stage for night-time spectaculars. The show was a massive success, capturing the hearts and minds of thousands of attendees, and the show achieved its aim to create a completely original and mind-blowing experience.